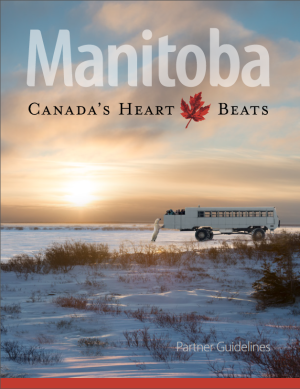 Travel Manitoba provides a wide variety of opportunities for the tourism industry to partner with us in targeting consumers directly or through co-operative initiatives with media influencers and the travel trade. Alignment with the Manitoba, Canada’s Heart... Beats brand is key to realizing growth in the tourism sector. We encourage you to join us as we market Manitoba as a breathtaking destination in a way that is creative and forward-thinking. The Brand Toolkit is designed to help our industry partners understand the research, planning and creative process on which the brand was built, and to help you align your own marketing efforts with its brand promise. Aligning with the brand will allow your business to reap the benefits of the brand, its impact, and the provocative associations that it inspires. In partnership with you, we look forward to cultivating an exciting tourism brand that will lure eager travellers to Manitoba. Please join us as we prepare to welcome the world.